Organizing a conference? Want to remind your attendees about the event? 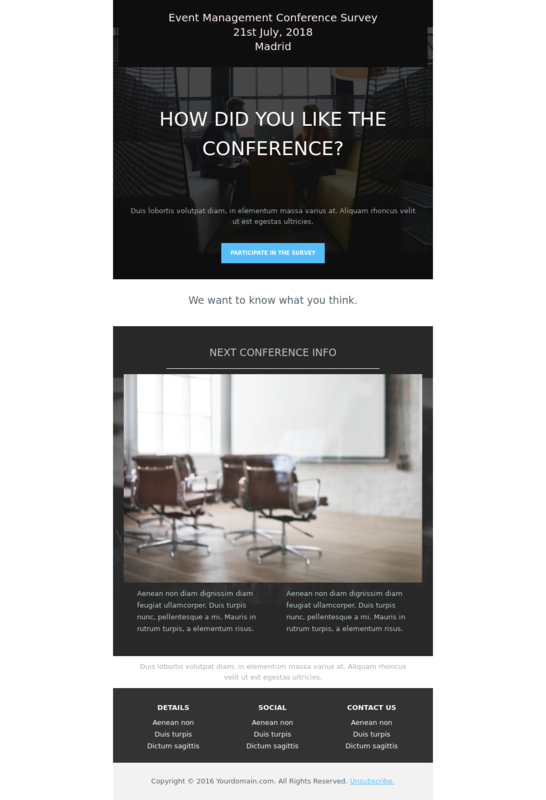 Use this business conference template and just add the information about your event.